Hi, I'm Alex, a fun, loving and responsible young woman who absolutely adores children! 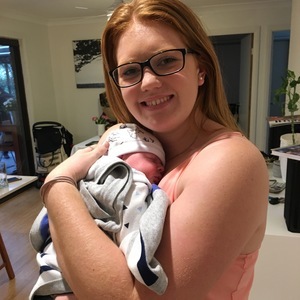 I'm currently studying a Bachelor of Occupational Therapy at ACU and throughout this course have learnt lots more about the best care for children. I have been a nanny and babysitter for over 6 years now and am currently looking for casual babysitting on weekends or before school nannying work. I have been a nanny for a couple of families over the past few years and have loved every minute of it! I have baby sat for many of my family friends, and just recently my cousins have had new children so I've been helping to look after them and I absolutely love it. I have been looking after children since a young age as I used to care for my little sister when my parents were busy! If you're looking for a casual baby sitter who is will nurture your kids and is great with housework and cleaning, then please connect with me to discuss the job further.